A few days ago Ollie of Blog F1 suggested my writing a post of memories of the British GP. That would be fine, I thought, if only I had any. The sad fact is that I have never actually been to Silverstone to watch the GP, even though I lived not far north of the circuit and it was easy for me to access. The problem was twofold: I never had the money to pay the ridiculous entrance fee and the GP invariably coincided with an institution that has long since gone the way of all flesh - the Coventry Fortnight, as it was known. In those days, I was working in a Coventry car factory for my sins and was thus subject to this Coventry Fortnight, a period of two weeks in July when the factories shut down and released all of us worker bees upon the pleasures of the outside world. And the roads from the Midlands to the coast would become choked with our beaten up old vehicles in a slow and congested crawl in search of freedom. Fate decreed that the first weekend of the Coventry Fortnight was always the one chosen for the British GP and so, on that Saturday, I would find myself in a car laden with family and piles of luggage, braving the traffic jams on the M5 in the quest for the sea. Britain must have had some good weather then for my memory speaks only of hours spent in endless lines of cars just north of Bristol with the sun beating down and temperatures rising to the bounds of patience. And all the while Silverstone receded behind us as questions of television reception in whatever forsaken outpost of civilization we had chosen this time occupied my mind. It was a hit and miss affair, this business of televisions in rented cottages or trailers in a forgotten corner of Cornwall or Wales. True luxury was to find color at the end of one's journey, it being far more common to grudgingly accept that once again the GP would be in black and white on a tiny portable set. Reception, too, was variable and many are the GPs I have viewed through a mist of snow despite all tweaking of the arial in vain hope of a clearer screen. But Sunday afternoon was my time, a space allowed by the family in view of my sacrifice of yet another year to the needs of the holiday. And even small mercies must be appreciated, there being at least one year when arrival disclosed the awful fact of there being no television at all (oh rural Wales, do you linger still in the backwash of the 19th century?). The radio is small comfort in such desperate times. Looking back, I realize that this tradition of always missing the great event has colored my view and given the GP almost mythical status. I know Silverstone well, having driven past it on many occasions, and the sense of it scrawled upon its open expanses, perched upon its lonely plateau, is with me still. And it was this that filled in the imagination as I followed the unfolding drama through blurred and faded images upon an ancient TV. It may have been the one GP of the year that was, for me, an exercise in filling in the blanks, the only race forever run in shades of grey and drifting snow, but it was ours, the one that defined them all, the British Grand Prix. Perhaps it was the same for most of the inhabitants of that happy isle and time. It may be that, throughout the land, the GP became a matter of escape for a few hours from the demands of a family holiday in the wilds, a secret feeding of the fanatical addiction in nooks and crannies of the folded mountains and jagged shoreline. Certain it is that the result of the race could make or break my holiday, all too often the demise of some preferred hero setting a background of discontent through the days to come. It is strange how rarely that particular race gave me the winner of my choice; perhaps it was a punishment for missing all those chances to attend, for not risking family disapproval and finances at least once along the way. I too hate crowds ; I have vague memory of Silverstone as a youngster. It was with my Uncle and Aunt who asked; I said yes not knowing the impact it would have. Even now mention of the the name brings the smell to my nose of the burning fuel and rubber. My one and only visit. Ahh, I was young. Perhaps a tad to young to appreciate the race as a race. My memory is clouded now but the thrill still haunts. The radio was thereafter what held me to appreciate the joy of F1. Sadness is with me as I read all that is going on with the sport. How dare they destroy all that I (and so many others) hold so dear? - But hope springs eternal. My second visit was by way of invitation again. Only this time it was to the Go-Kart track; Another wonderful occasion. but one that my poor back has yet to recover from. (Those things have suspension that put bones to the test) I came a reasonable fifth (out of a group of thirty) after a Le Mans style race; ie teams taking turns. The outrageous prices for admission have kept me away all these years, likewise the two occasions for Melbourne. Murray Walker kept me (informed?) during the absent years. But television was the godsend, I well remember pressing my nose to the window of the local TV outlet in town, watching those beautiful cars whizzing around the track. It was only after some years that we actually got a TV. With the current nonsensical goings on with all that is F1, I wonder if perhaps, just perhaps, Silverstone may have future after all. I get lost in the dream that racing is man and machine racing as one... ahhh, dreams; they mean so much. As always an excellent posting Clive. Keep the faith, there will be more to come. As yet undecided, but as mentioned - Hope.... etc. Ah, the smells of motor racing. They were part of what captured me way back then too. It wasn't F1 but it felt like it in my little corner of the world! Thank you, Fractal - as always these days, we live in hope that F1 might go on forever. I have, in times long past, attended the Long Beach GP, the Las Vegas GP and The GP at Watkins Glen. At the Glen I was a lowly spectator with a 400mm lens (800mm with my doubler, ever try to focus an 800mm lens? ), but it is a fabulous track with much more elevation change than it appears on TV. At Long Beach and Vegas I was a Hot Grid Marshall. We got in free, though I had to join the SCCA for my license. In exchange for setting the Hot Grid and reporting any early aways, we got access to every area of the track except the Hot Pit Lane. I got closer pictures with a 30mm lens than with my 800. And I saw some legendary drivers and cars in some very memorable races. It was very interesting to see who was using nitro in practice and qualifying, a very distinctive odor. Credentials are the only way to really see a race, and I was very lucky to be in the right place at the right time. I would like to report that rural Wales is indeed still stuck in a long forgotten time accept now they have signs in Welsh so all the English and indeed most of the Welsh can't find their way around for the life of them. I have only been to silverstone once and that was for the British Touring Car Championship again mainly due to the ridiculous prices and lack of ticket availability. Fantastic circuit and a real shame it is leaving the F1 calendar although at least Donnington is even easier to get to for us Midlanders. Personally I've been to Silverstone twice, once to see qualifying for the British GP as qualifying is a lot cheaper and once to see a BSB race. I enjoyed the BSB race much more, especially as our placement was spot on, we got to see the bikes as they came out of the complex (or whatever it's called I forget) all the way up until the last corner, this meant we got to see a fantastic amount of overtaking maneavouers and sometimes crashes. 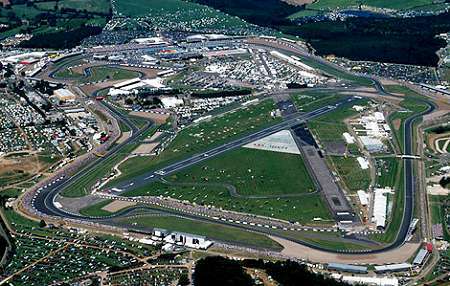 It was nowhere near as crowded as an F1 race and far less expensive with better racing, I also remember the race fairly well as a favourite of mine won (Kiyonari) and another favourite crashed (Camier). The circuit of silverstone itself being a great one. As for the Britisih GP qualifying I did see, I can't remember much I was quite young but it was still enjoyable experience. Fractal & Clive: It was known as the smell of Castrol R. Unable to afford anything even resembling a racing machine in my youth, we routinely participated in racing fantasy by adding this product to the gas tank of our road bikes as an upper cylinder lubricant - purportedly just out of concern for the engine alone. Quote: Castrol has been at the forefront of motorsport since the idea of racing cars began. The company's founder Charles Wakefield ensured that his product was the oil to have. Ask anybody, who was around motor racing in it's golden eras to tell you three things that remind them of the time and you can bet that almost everyone will mention "the smell of Castrol 'R'". Our racing oil was almost universally used from the F1 down through to the junior formulae. It was a castor oil specially developed for highly stressed racing engines. It was developed in two grades, for two and four stroke engines and could be added to fuel as an upper cylinder lubricant, this is what produced that evocative exhaust aroma. Lonny: I am green with envy. To have been so close to the actual event is an experience indeed - all too often these days the paying public is limited to long distance views of the cars from crowded (and not so crowded) grandstands. Good to know that Wales hasn't changed too! David: Ah, Castrol R - what memories that scent invokes! Here's hoping that an FIA no longer lorded over by Max Mosley will make a rule insisting that all cars use Castrol R to return us to those wonderful early days. Nice one Pootie, BSB is a brilliant day out. Loads of support series and TWO main races all for about £30! Mad: I knew it, I knew it! A clear case of indoctrination! Pootle, don't listen to him - F1 is the pinnacle! I don't think us all watching MotoGP would be such a bad thing, especially with races like Catalunya. I still somewhat enjoy F1 though, the races have become far too processional for me though, it's a shame that it takes a: safety car, bad weather or the track playing up for the race to become exciting. Also that last comment was me, accidently posted the verifyer in the name slot. It's true that rain spices up the F1 show but it's a sport that does not rely entirely upon close racing for its appeal. For the really diehard fans, it is enough to see excellent engineers and drivers to be pitted against each other. When one team dominates for several seasons, I admit it becomes pretty boring, however. I watch motor bike racing when I chance upon it and the racing is good, it's true. Like F1, it needs time and commitment to get to know the bikes and riders - once that has happened, no doubt I'd enjoy it as much as anyone. NASCAR taught me that all variants of motor sport require considerable investment of learning before they can be enjoyed to the full. This year I've liked to watch F1 because of Button finally finding some luck but I miss the days of Kimi in the McLaren really, perhaps I'd be more interested if that was still the case. Indeed, however I believe Raikkonen is still got at least a few good years left in him just needs the team to suit him really.